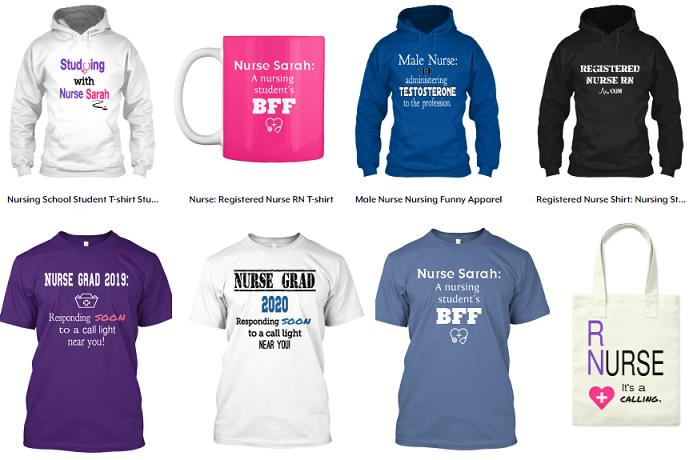 Check Out Our Nursing Gear! 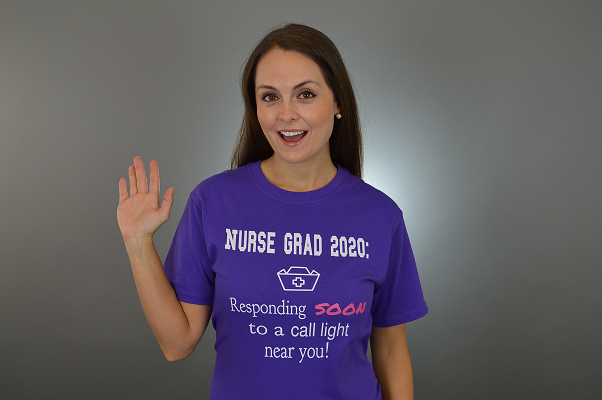 We hope you have checked out our nursing gear that we’ve created for nursing students and nurses! 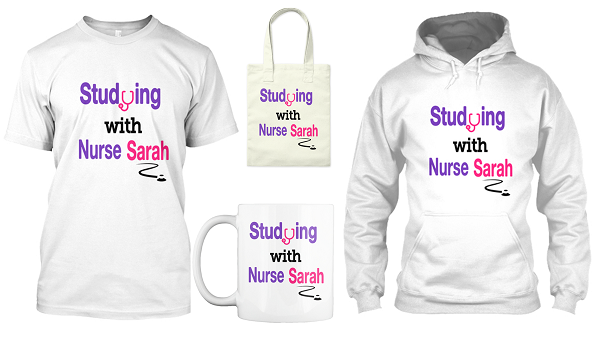 This gear makes an excellent gift for a nursing student or nurse! We offer t-shirts, hoodies, mugs, and tote bags via TeeSpring. All items come in various colors, sizes, and styles. Below are just a few of the items available! Where can I buy this gear? We sell our nursing gear here. You can browse our store, select which items you like, and then check out via TeeSpring. It’s that easy! 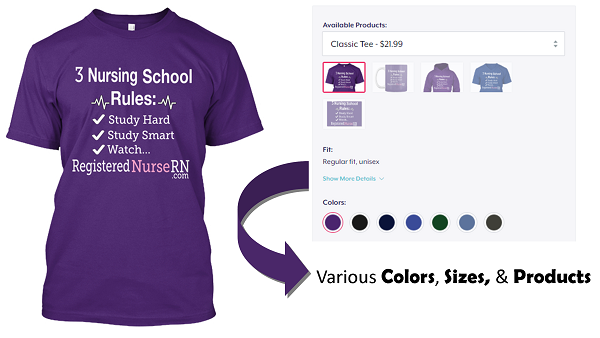 When you purchase this gear, you help support our mission of helping nursing students through nursing school for free. We don’t charge for our content (lectures, quizzes, notes etc.) because we want nursing students to be able to access quality content without the extra cost. 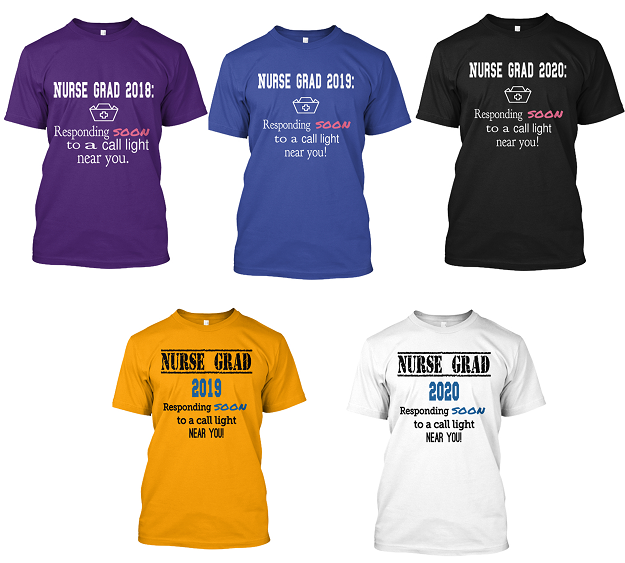 Buy your nursing class graduation shirt designed by Nurse Sarah. 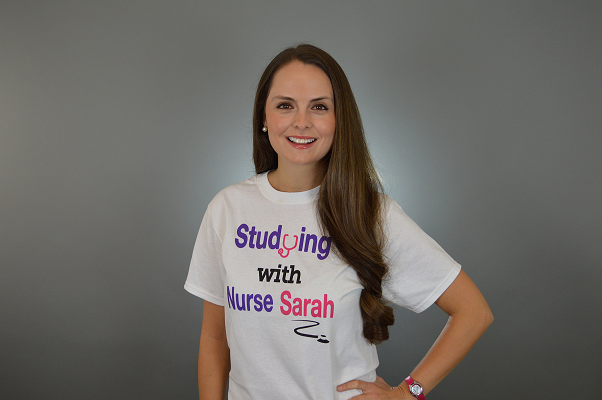 Show your love and support for Nurse Sarah by wearing or using this apparel! 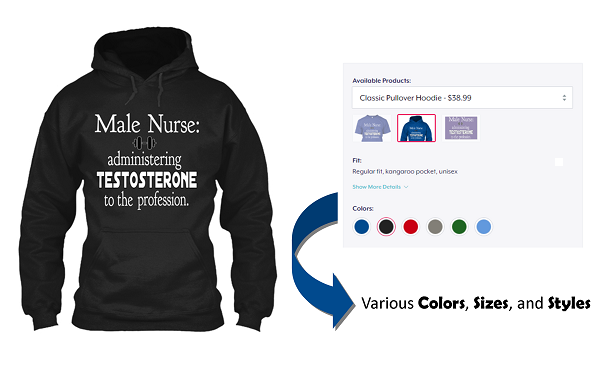 Buy this funny but stylish hoodie or t-shirt to support male nursing! This comes in various styles, colors, and sizes! This apparel is another popular seller! If you want to get through nursing school, you must do all three of these things, especially the last one!